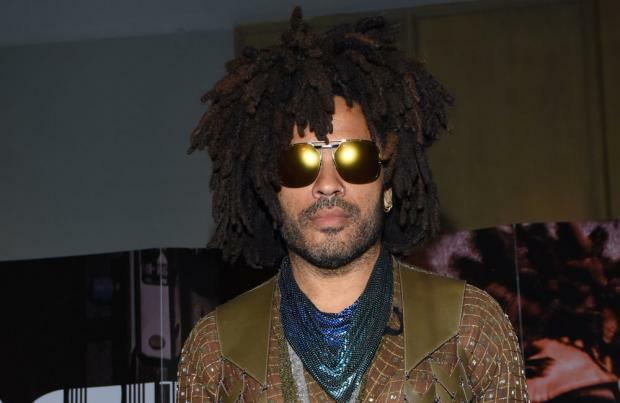 Lenny Kravitz has hailed Michael Jackson as hugely influential on his career in music. The 'Are You Gonna Go My Way' hitmaker's first ever concert was seeing the Jackson 5 at Madison Square Garden in New York City and he was a fan of the late King of Pop from that day forward. And Lenny fulfilled a life-long dream when he got to work with Michael in 2001 during session's for his final LP 'Invincible'. Speaking to The Guardian newspaper, Lenny said: "He's the person who made it happen for me. He loved [us] working together. He asked me to push him. I did." Although Michael tragically passed away aged 50 in 2009, the pair will be heard singing a duet on 53-year-old Lenny's upcoming 11th studio album 'Raise Vibration'. The duo both sing on the track 'Low', and Lenny admitted some people listening to the LP - which comes out in September - actually thought he was doing an impression of MJ on the track. He revealed: "A lot of people say: 'Oh, you're doing that Michael Jackson impersonation.' No, that's him." Earlier this week, Lenny announced his first UK tour in three years, as he confirmed plans to perform next month in Manchester, Birmingham and London. The run will kick off on June 19 at Manchester's O2 Apollo and conclude at London's The SSE Arena, Wembley on June 22. The mini tour will see Lenny supported by soul musician Curtis Harding, who previously backed CeeLo Green and formed the R&B/garage rock band Night Sun with Black Lips members in 2009.